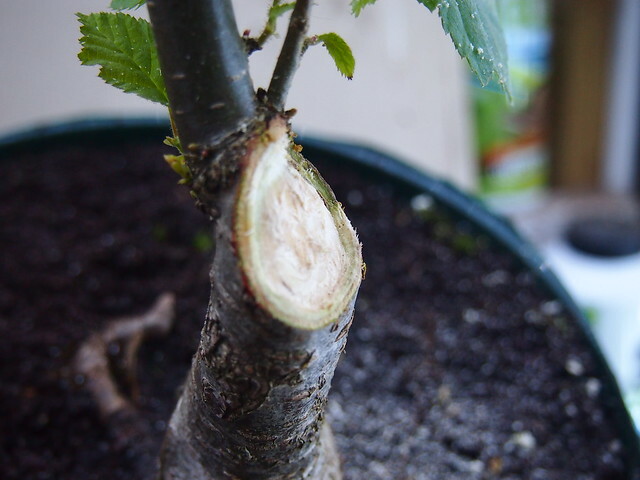 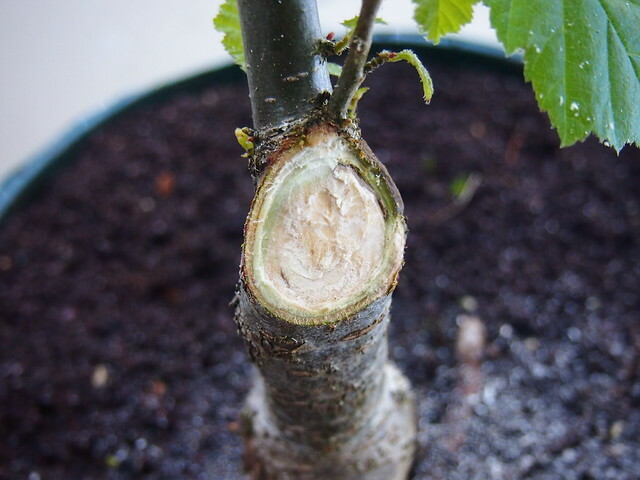 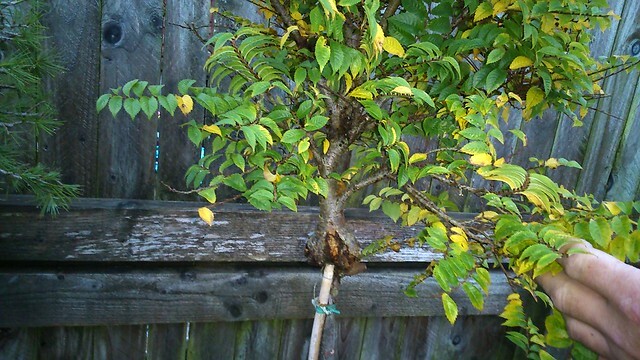 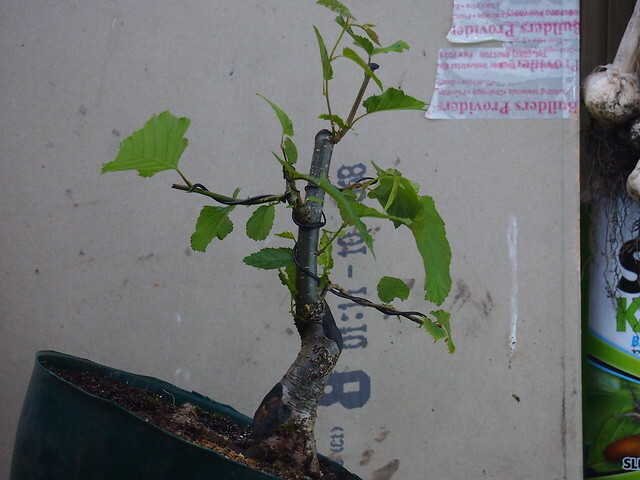 It is grafted to some sort of elm stick and need to be air-lay next season. 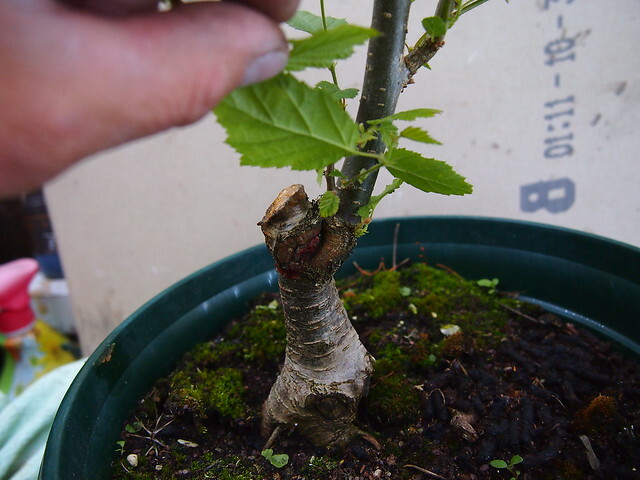 the graft was made so badly that will become some nice trunk base in the future tree. 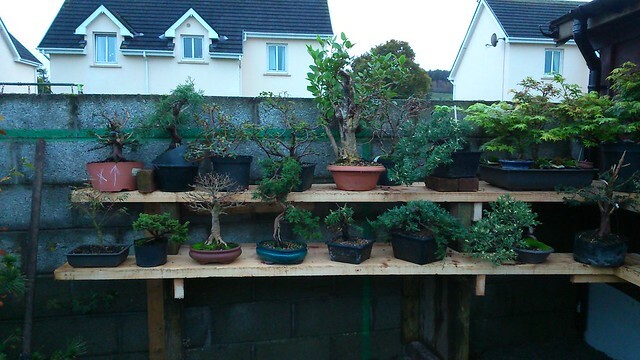 I had some busy bank holiday weekend. 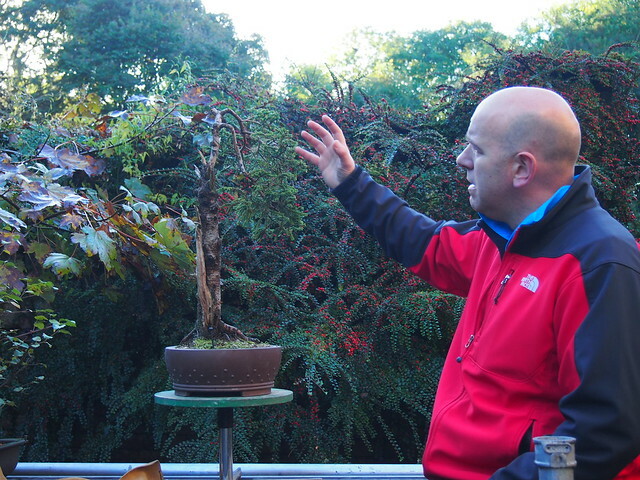 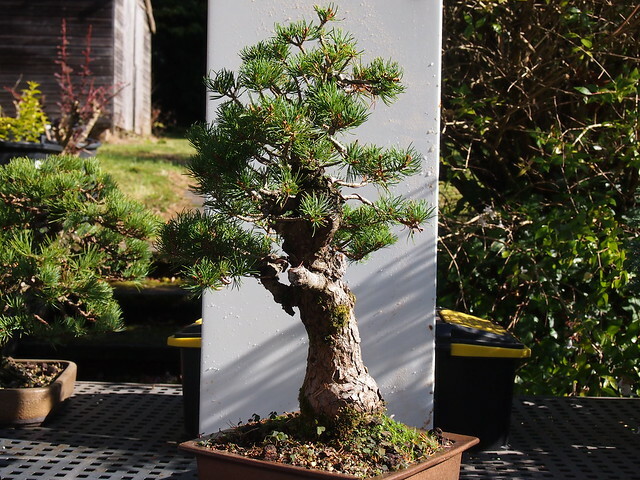 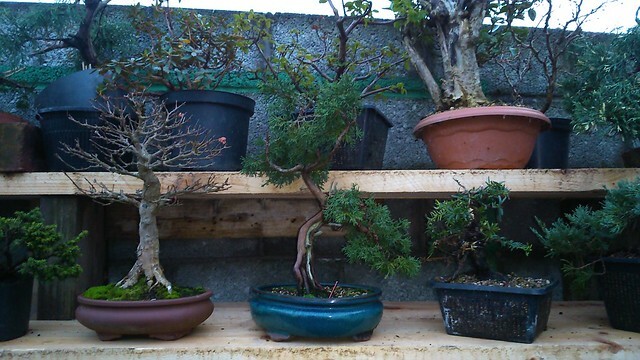 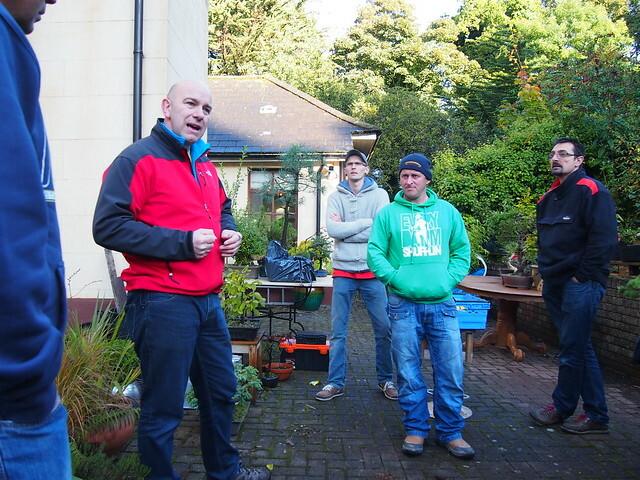 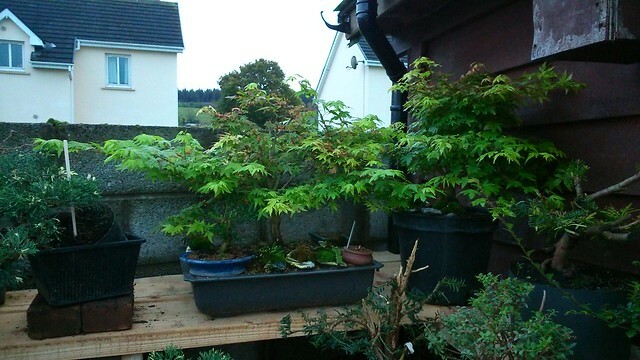 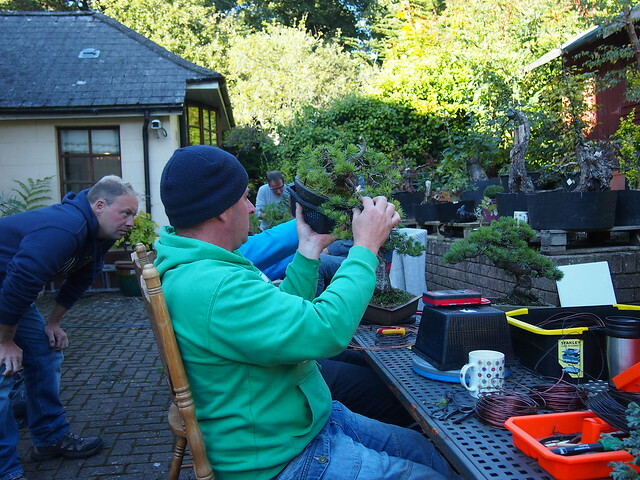 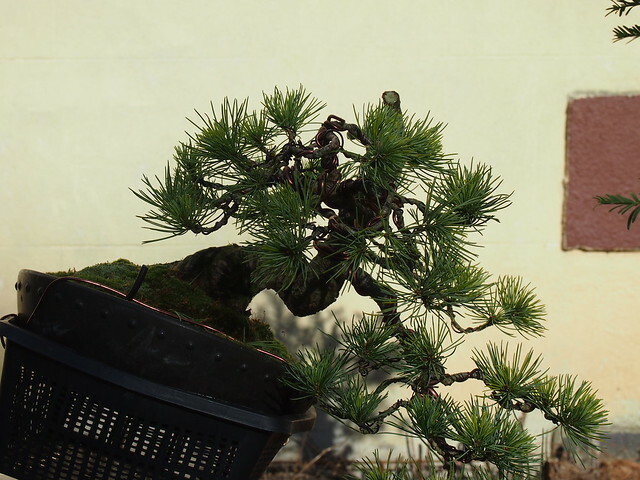 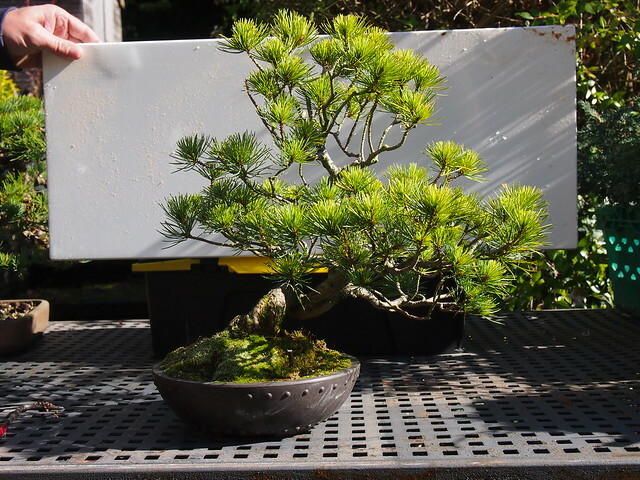 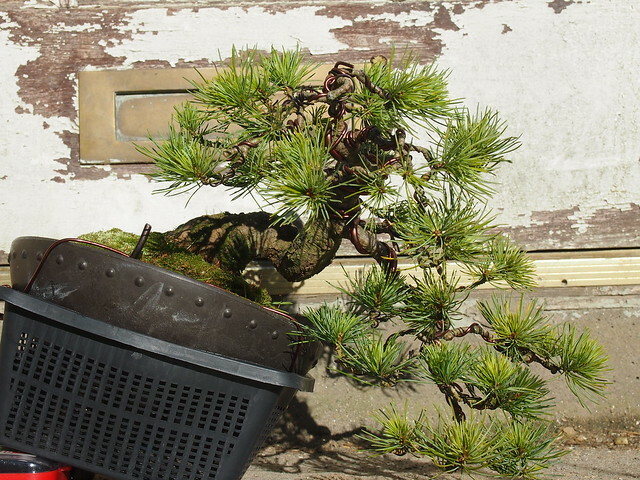 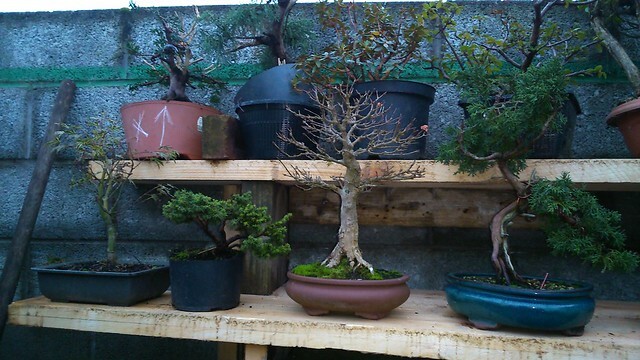 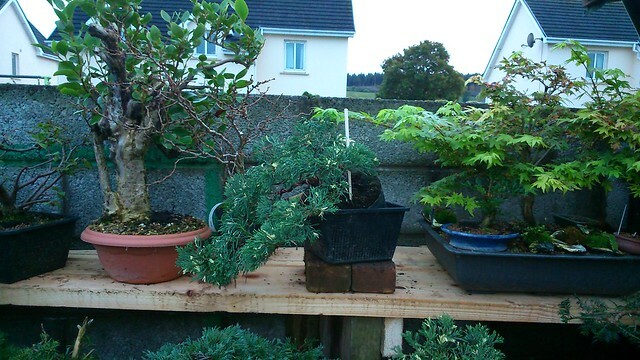 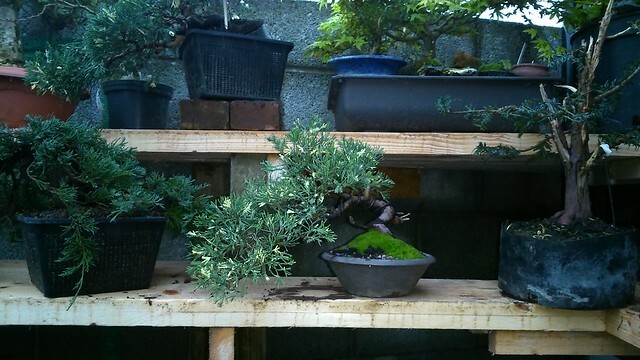 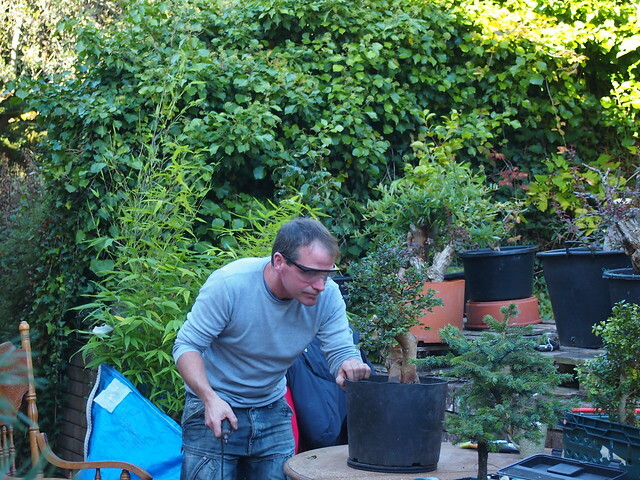 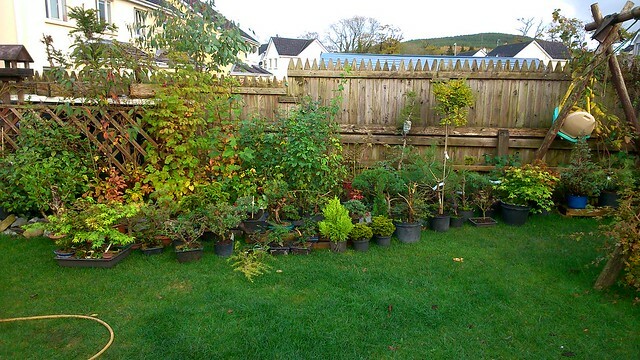 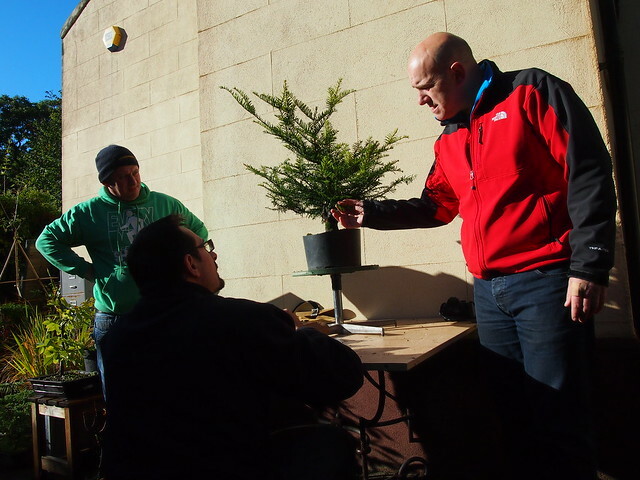 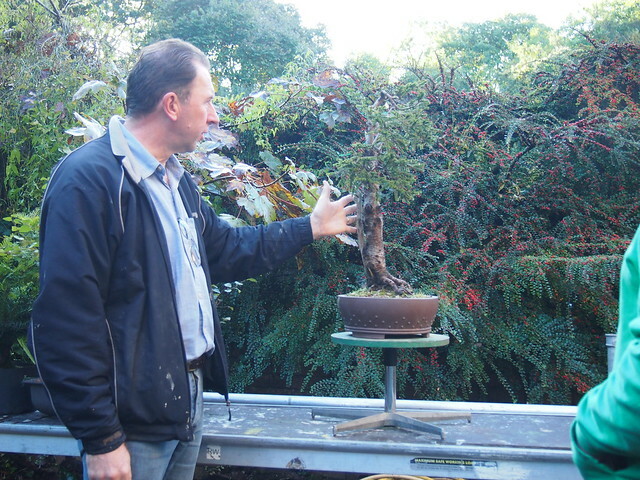 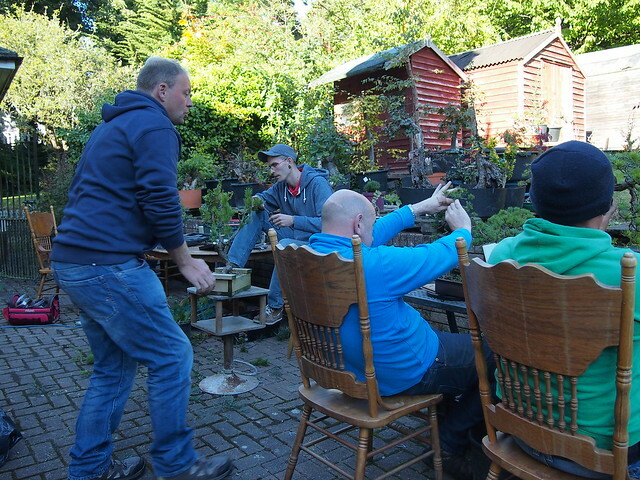 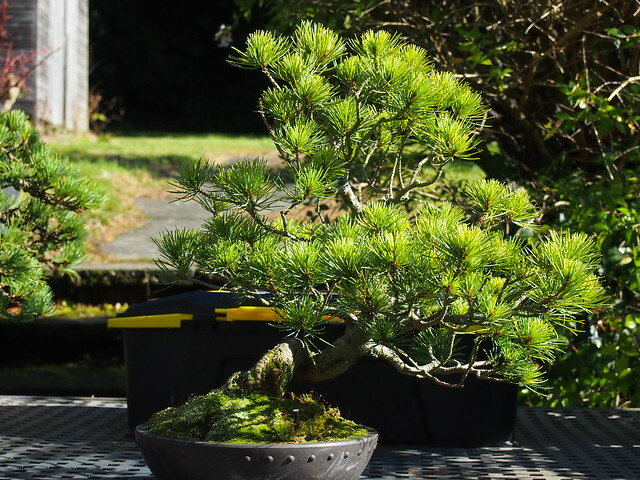 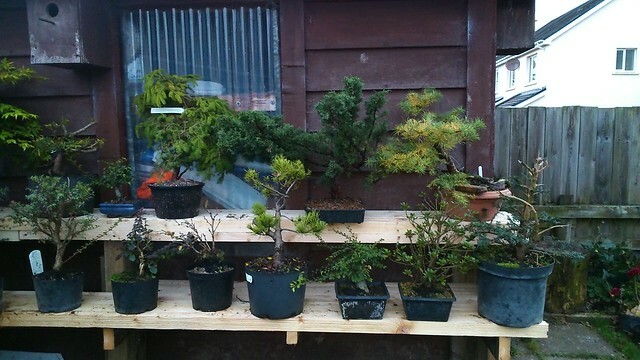 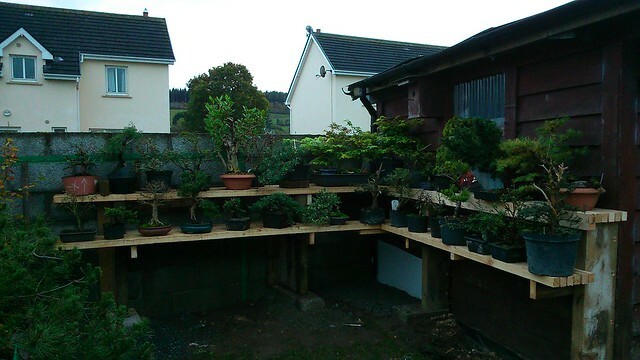 This tree has got to my collection in September 2014 from Phill Donnelly at Leinster Bonsai workshop. 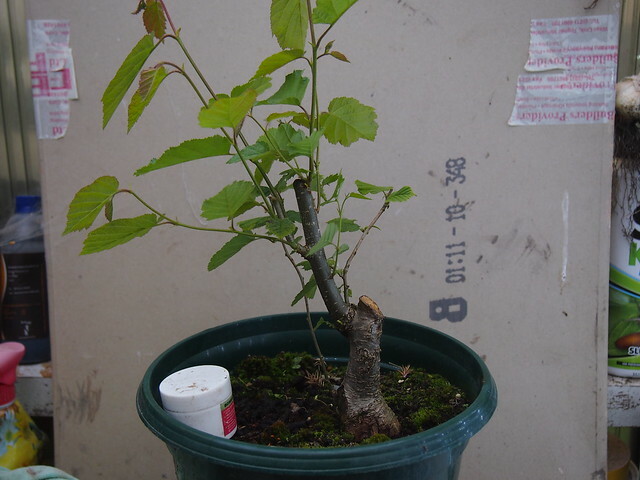 It is well established tree. 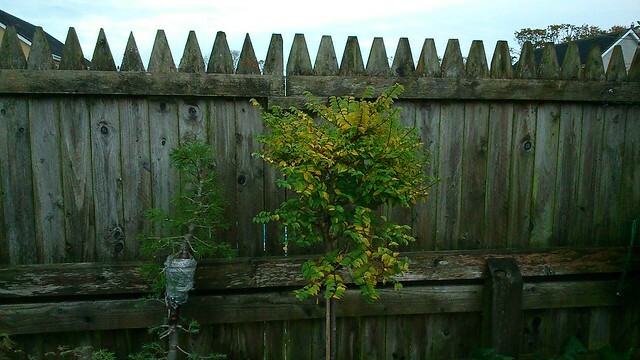 Lovely tree. 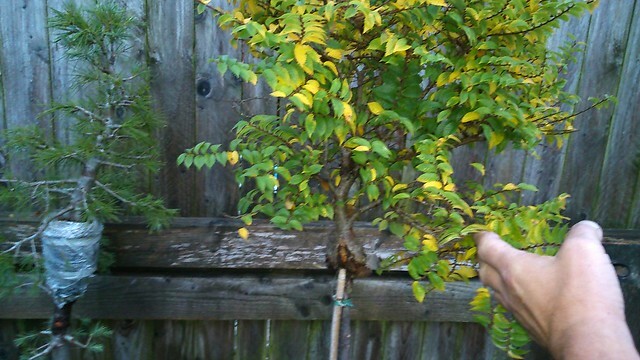 Lots of potential , lot of options. 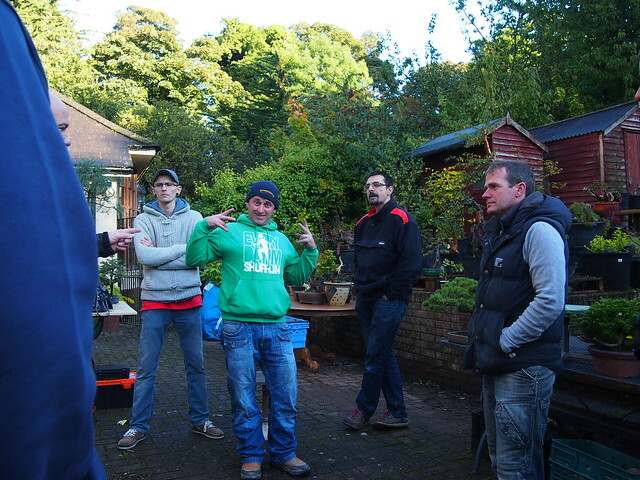 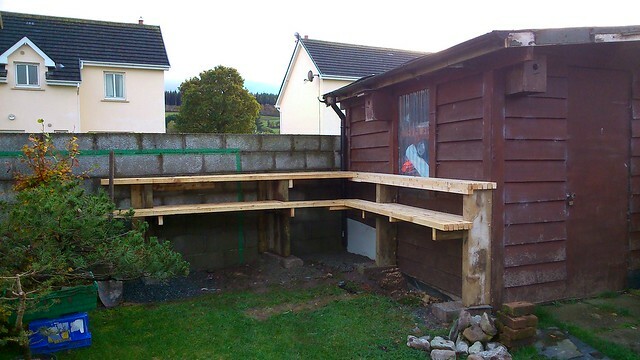 But this is what we made…. 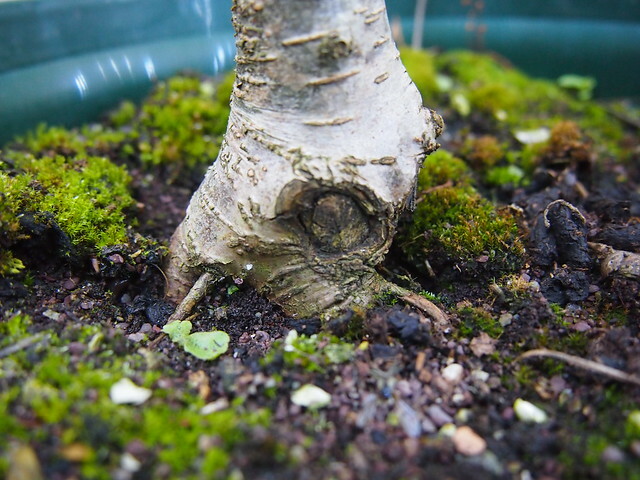 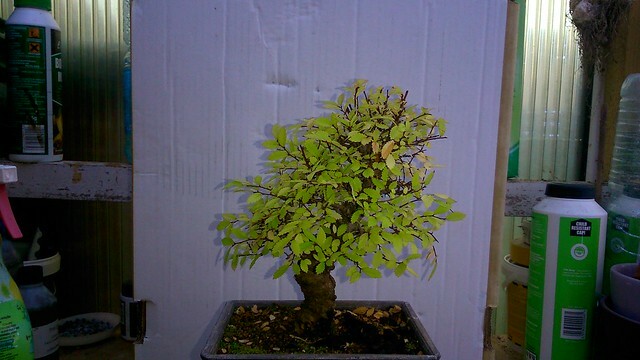 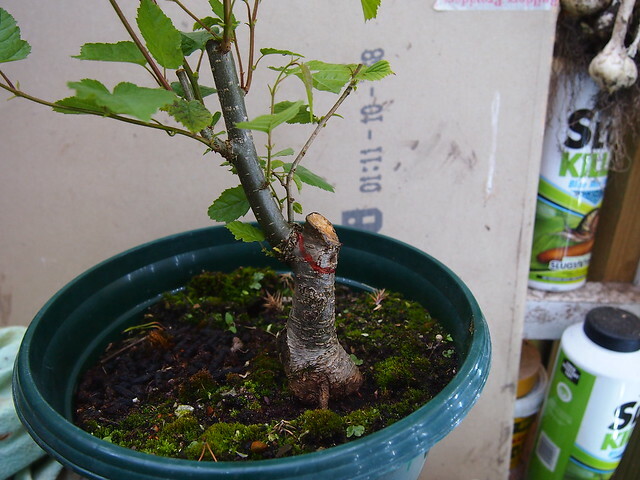 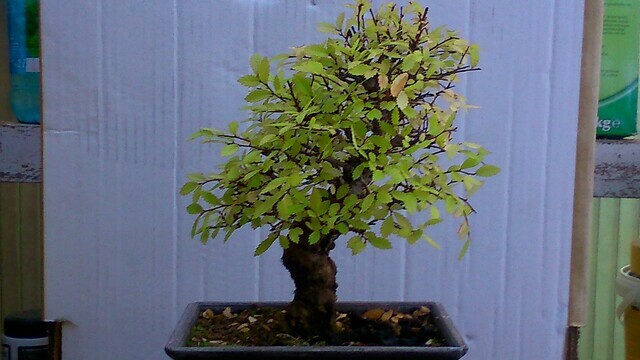 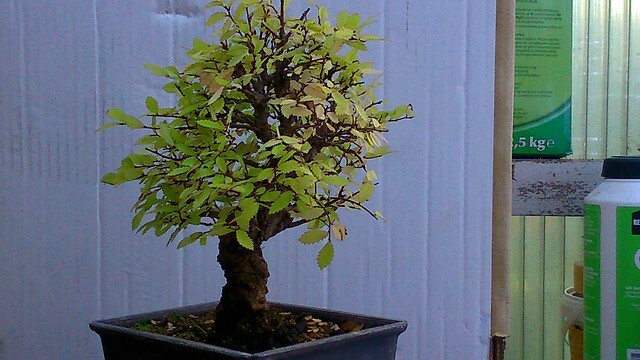 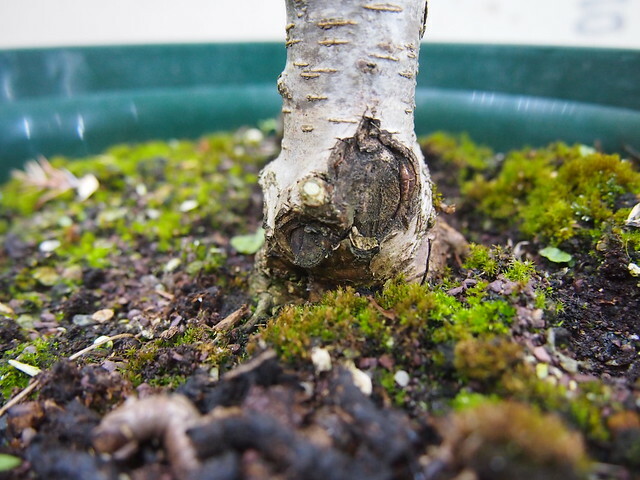 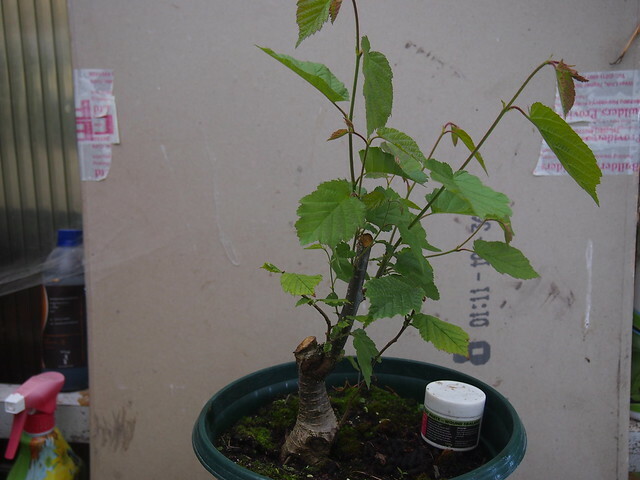 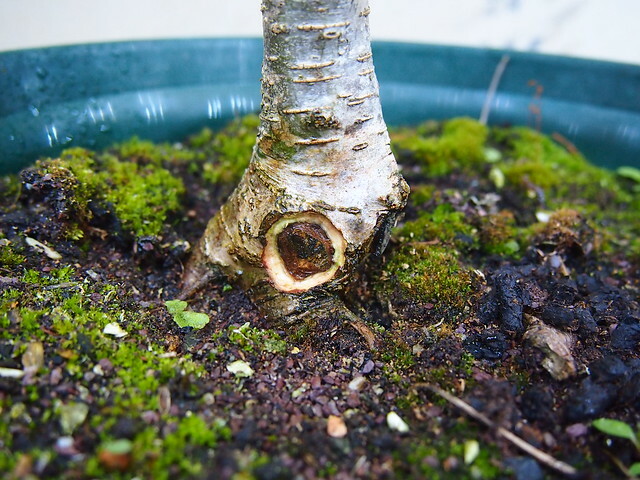 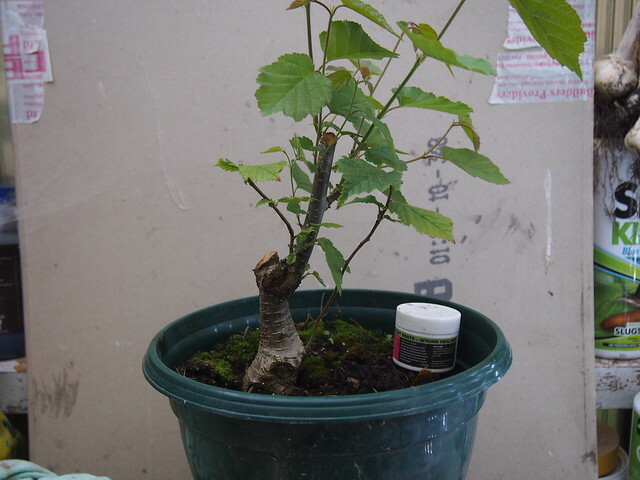 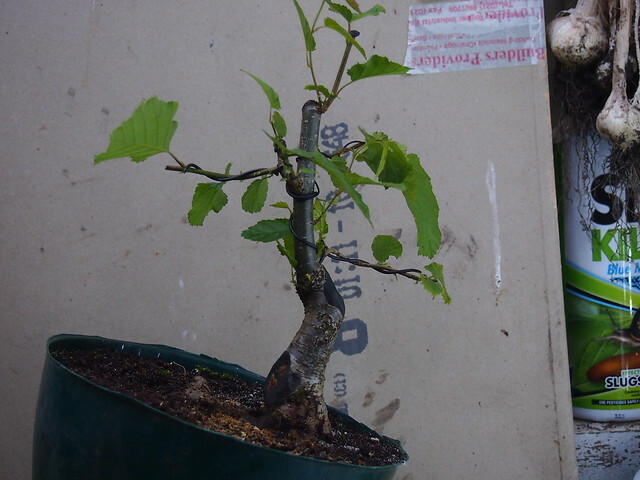 This little Grey Alder has got to my collection in February 2012. 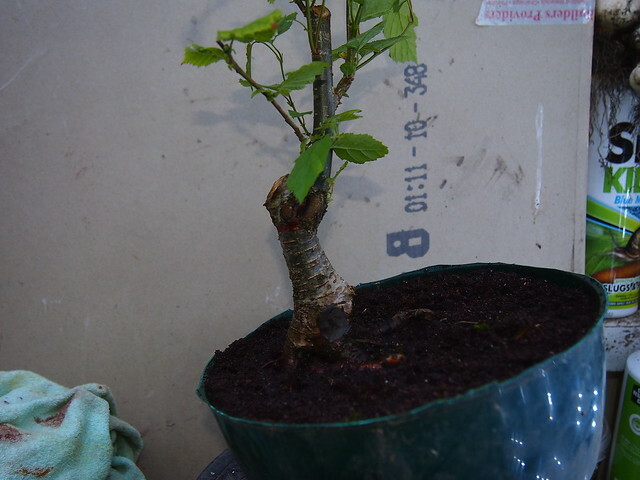 I collected it of hedge and left in pot for two seasons growing freely. 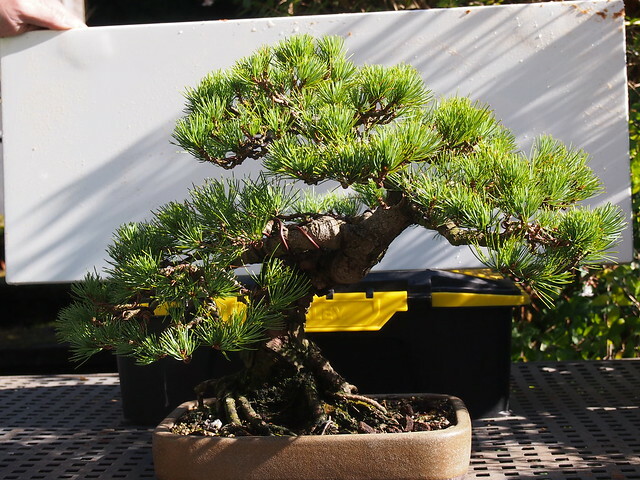 I think it has got better movement and trunk taper. 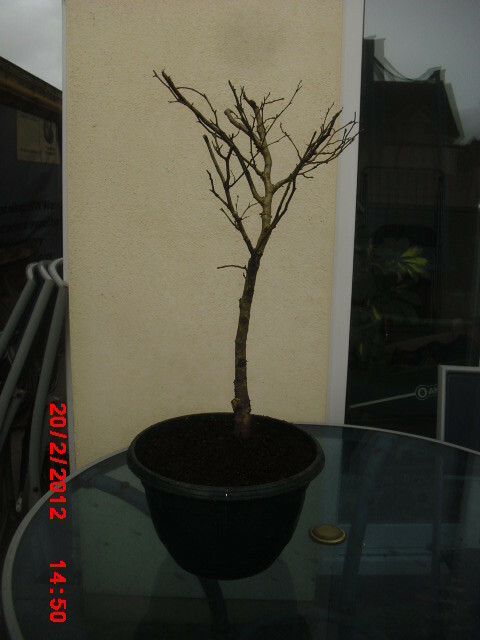 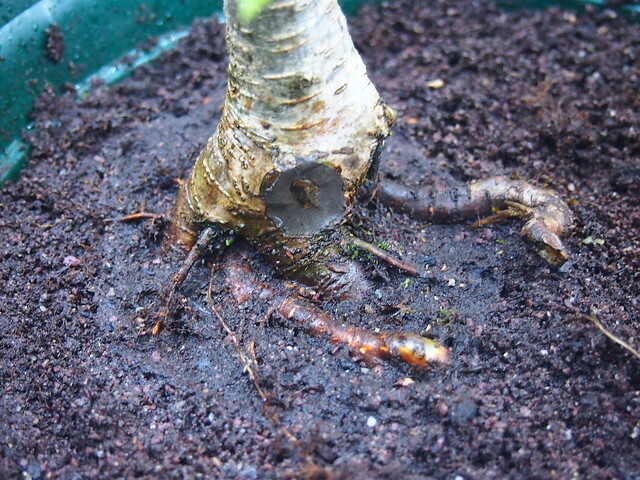 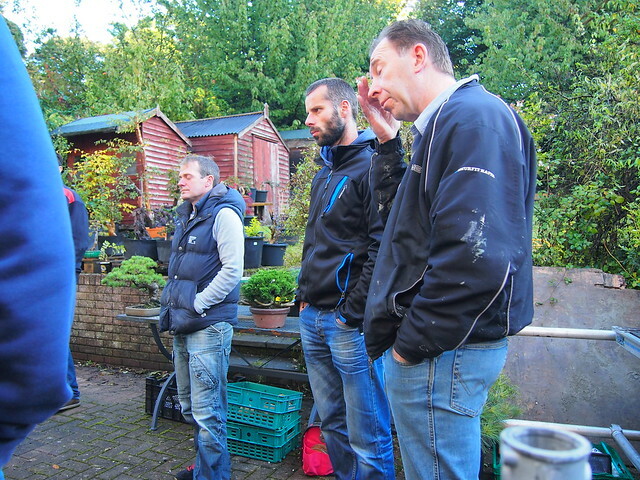 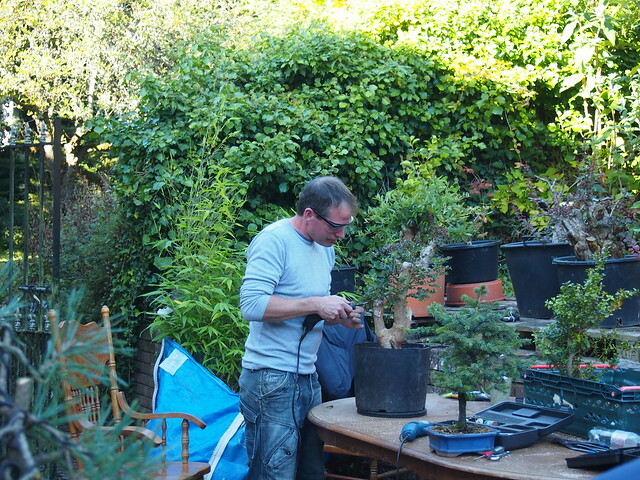 It will bee re-potted next spring to sort out rots, also will work on ramification. 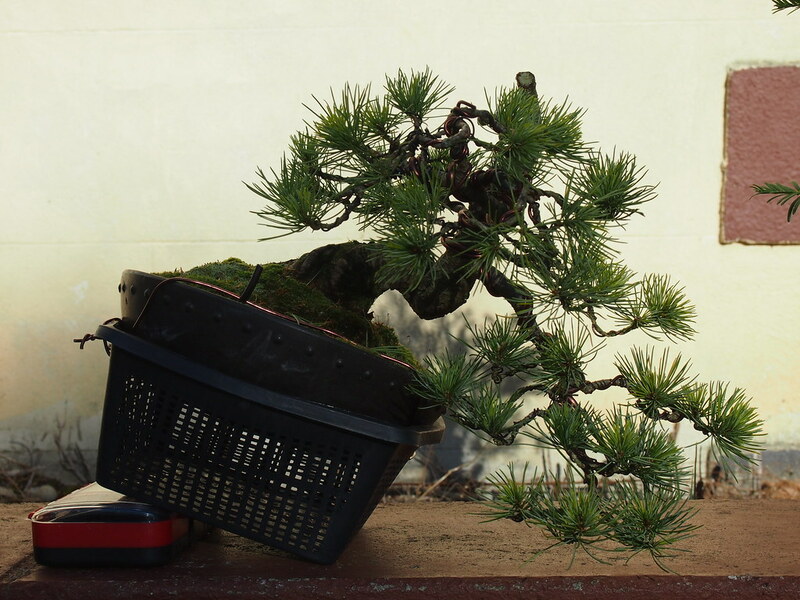 Any critique are very welcome .